This is perhaps not a Lent-appropriate recipe, but oh well. Save it for Easter? This was a birthday gift a long time ago for someone who loves Kahlua but can’t drink it anymore for health reasons. 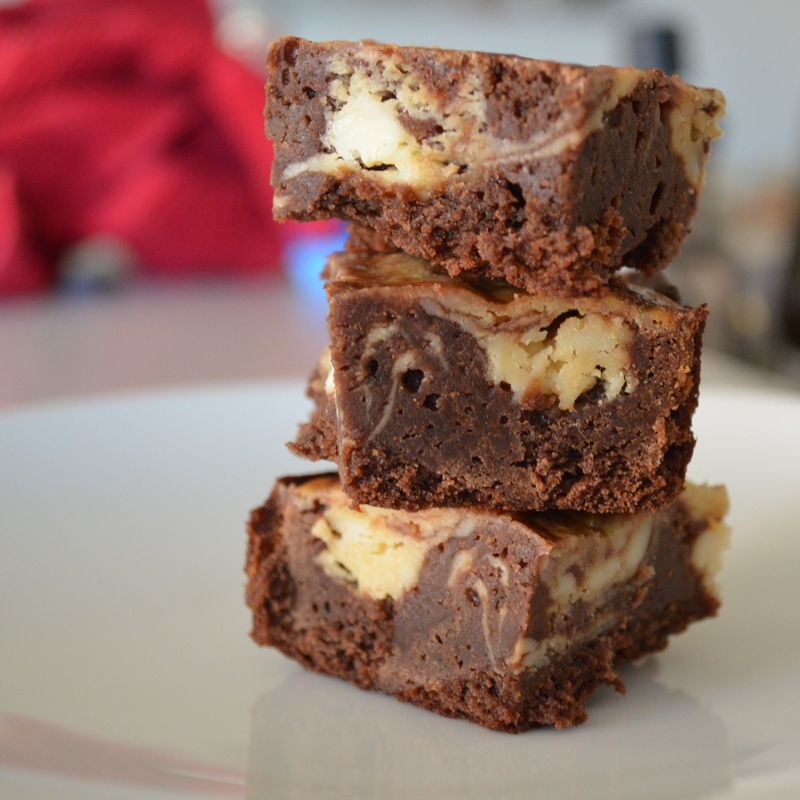 I thought why not put Kahlua in some brownies and solve that problem right there? Preheat the oven to 350°F. Line an 8-inch square baking pan with parchment paper, then grease the paper. Melt the butter and chocolate together in a heavy saucepan over low heat. (Even better – use a double-boiler.). Stir frequently, scraping the bottom of the pan to make sure nothing gets stuck there. When everything is melted, mix in the Kahlua and continue cooking for another minute, then remove from heat. Mix in the eggs and vanilla. Stir in the sugar, salt, and instant coffee, until everything is smooth and blended. Then mix in the flour, again until everything is smooth and blended. (If it looks a tad thin, throw in another tablespoon of flour.) Pour the batter into the prepared baking pan and level it out if necessary. In another bowl, mix the softened cream cheese, the 1/3 cup sugar, the large egg yolk, and the 1/4 tsp pure vanilla extract. (This will be so much easier if you have waited until the cream cheese is completely softened!). Drop in tablespoons over the brownie batter. 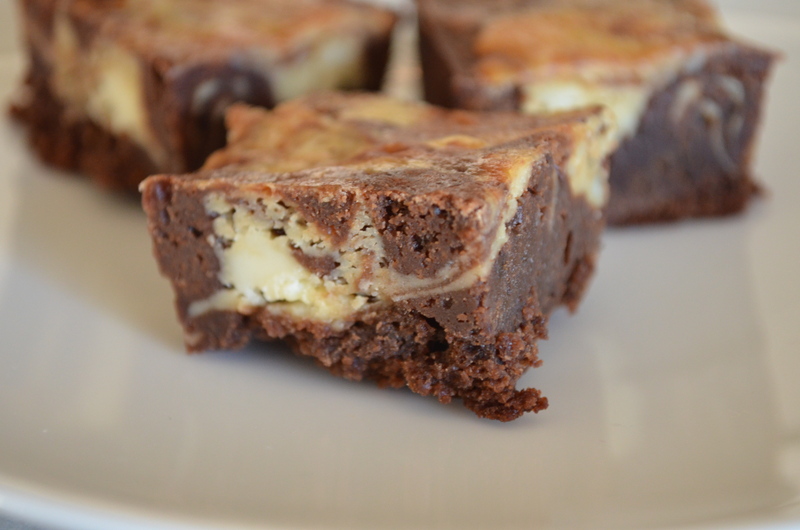 Swirl the cheesecake batter very gently with the brownie batter. As Deb says, a round/butter knife is best for this. Bake for 30-35 minutes. The edges should be very slightly browned, and the center should be set (not jiggly). Cool completely. These are best cooled in the refrigerator, and it’s also infinitely easier to cut these if you refrigerate them first. pretty excited to make these today for our Big Lebowski Bash tonight! thank you for sharing.